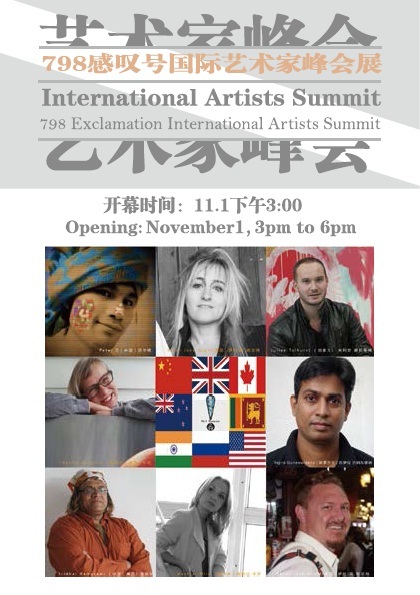 Eight countries, separated by vast amounts of space and mountains and oceans, reach out to each other in this “Artists Summit” with a desire to communicate and know each other better through the medium of art: the ideal language of communication. The works of the eight artists in the exhibition are shown domestically and internationally with collectors and galleries spread all over Asia, America, Europe, and Oceania. Eight cultures, histories, and different types of thought collide and mix and speak to each other through images and paint. We are lucky to have all eight artists and their works in Beijing and to travel as an audience through this rich cultural experience.